What’s available + 3 things you’ll want to consider before hiring a training provider. As everyone from businesses to government seeks fresh approaches to solving tough problems and engaging staff in everyday innovation, many are turning to design thinking — also known as human-centred design — to develop innovation capabilities. Design thinking workshops and training are readily available in Malaysia. If you’re looking to engaging a firm, Tandemic and Genovasi are both leading training providers based in Malaysia. Both Tandemic and Genovasi provide a wide variety of training options — from 2-day workshops to programmes over several months to train coaches and integrate design thinking capabilities in an organisation and both have trained thousands of people in design thinking. Tandemic’s team has deep practical experience working on innovation projects and our CEO teaches Design Across Borders at Stanford’s d.school. Genovasi’s trainers have been certified by the Hasso-Plattner Institut (HPI) in Germany and Genovasi is the regional partner for HPI. The design thinking workshop can be the beginning of a journey for your organisation in adopting new, customer-centred ways of solving problems and tapping into new opportunities. Workshops build awareness about what design thinking can do and some understanding of what it might look like in your organisation. They’ll also provide your team with new tools they can bring into their work. Too often, what can be accomplished in a design thinking workshop is oversold, particularly by less experienced trainers. You probably won’t find your team coming back to work practicing design thinking after a 2-day workshop. Design thinking is far more than a process and a set of tools — it’s also a craft and a set of skills around discovering underlying needs, reframing problems, and designing experiments to test with customers. Similarly, a design thinking workshop can generate new ideas about how to address a challenge but it won’t necessarily provide the answer to a big business challenge you’ve been trying to tackle if it’s the first time your team is practicing the approach. If your goal is to get teams to start practicing design thinking, the workshop is the start of a journey. You’ll want to make the workshop(s) part of a broader strategy where you create the space and provide the support for your teams to work on real projects. This can be done through programmes such as ALT Space, which brings in experienced coaches to guide a team through bringing a real innovation project to life. Some organisations can work with enterprises on scaling design thinking through the organisation, by building the right systems and processes and internal coaches or trainers. 2. Who are your trainers? Comparing training options can be hard if you’re not familiar with design thinking. Here’s the key thing to remember about getting good training: it’s not about experienced trainers, it’s about experienced practitioners. IDEO and the d.school at Stanford have led efforts to democratise design thinking through toolkits, online courses, and other artefacts. This has helped unshroud the mystery around how design thinking works — but it has also led to a great number of design thinking trainers who have a primarily theoretical understanding of design thinking. You’ll want to figure out whether your trainers just train — or whether they’ve also worked on designing real products or services. Design thinking in practice can look very different from design thinking in theory or design thinking in a workshop, especially in large organisations. What are design thinking projects they’ve worked on and delivered? Who else was on the project team? What are some key insights they gathered from the project? What are some examples of case studies they use in the training? 2. What happens in the workshop? There’s a great deal of variety in the way that trainers construct workshops. How your training provider’s workshop is constructed can tell you a lot about their effectiveness. Does the duration of the workshop match the workshop goals? If you’re just looking to give people a taste of design thinking, a 3-hour or 1-day workshop can work. 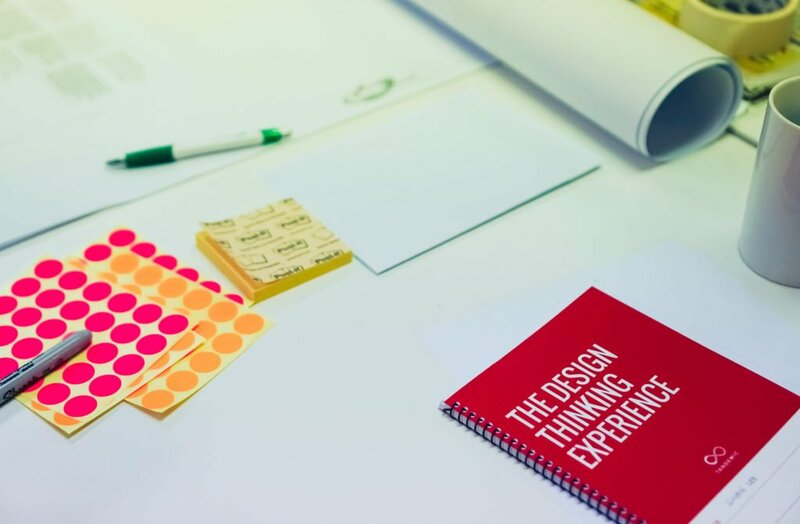 If you want to build awareness of what design thinking can do for your organisation and provide participants an understanding of tools they can apply, expect a 2 or 2.5-day workshop. If you’re looking to have your team start practicing design thinking on real projects, expect a workshop that’s at least 5 days and/or coaching over several weeks. What’s the design challenge? Every design thinking workshop will have some kind of challenge participants will work on during the workshop. Some trainers run “cookie cutter” workshops where participants work on a standard challenge set by the trainer and unrelated to your business, like redesigning the gift giving experience or the public transit experience. The argument for using design challenges that aren’t related to your business is that it helps people practice design thinking from a “blank slate” — without the pre-existing ideas and assumptions about the challenge that might come with an issue relevant to your business. The trouble is that participants almost always comes back from these workshops saying “that was interesting! But I don’t how this applies to my work.” Making the intellectual jump from tourism to telco or whichever business you may be in is hard for many participants. Ultimately, using a challenge unrelated to your business makes the trainer’s life easier — but it’s worse for the client. A good training experience will be based on a challenge that is adjacent to your business. It’s not a core challenge that your organisation has been thinking about for a long time — and therefore involves a lot of mental “baggage” — it’s a challenge related to your business that might be new, emerging, or in a neighbouring market. How many facilitators are there? You’ll want to distinguish between two types of people your training provider will bring to the workshop: trainers (who present and conduct exercises) and facilitators (who manage discussions inside teams and coach the teams). A good design thinking workshop has both. You’ll need more than a trainer talking at the front for an effective design thinking workshop because design thinking is more than a process — the skills of design thinking are just as important. That means you need coaches sitting with the teams as they’re carrying out exercises, providing guidance on whether they’re applying the skills effectively. We recommend teams of 5–7 participants, and 1 facilitator per team or per two teams. Anything less than that and chances are your participants are not getting good feedback about whether they’re practicing design thinking effectively. Anyone can read about the design thinking process online. A workshop becomes useful when trainers can guide your team beyond the five or six or twelve steps of design thinking (depending on who you ask) to building the skills and craft that make people good at discovering underlying needs, reframing challenges, and developing and interpreting experiments with prototypes. Getting value out of a design thinking workshop means having a good grasp of your purpose, making sure that what you’re buying can realistically serve that purpose, and working with trainers who don’t just train but are skilled practitioners who bring real project experience into the workshop. Interested in doing a workshop? Have a chat with us at Tandemic to think through your next workshop.